Fruits enrobés 100g (solde web) - Monsieur T.
This black tea is full of delicious berries. Raspberries, blackberries, blueberries and cranberries with a creamy note of cocoa and a hint of cinnamon. The pinnacle of comfort in a cup. 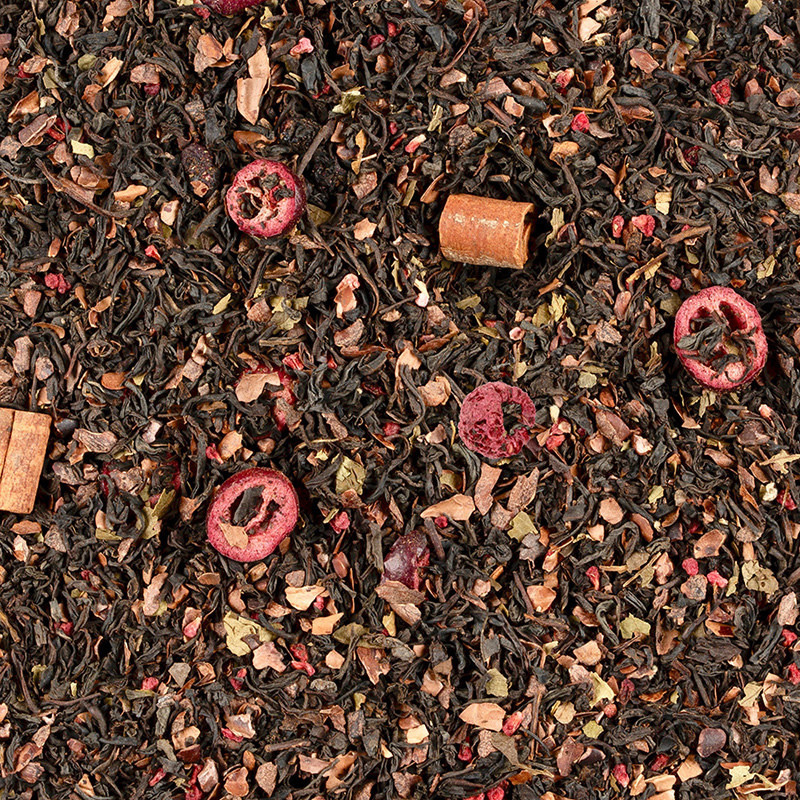 A tea that reminds us a bit of chocolate-coated fruit with a spicy note. All that's missing is a fireplace and a good movie for a perfect Valentine's Day, whether alone or accompanied. Contains: Black tea (62%), cocoa bark, cocoa pieces, freeze-dried raspberry pieces, cinnamon sticks, cinnamon pieces, sweet blackberry leaves, mountain blueberry leaves, freeze-dried whole blueberries, freeze-dried cranberry slices, whole dried raspberries.